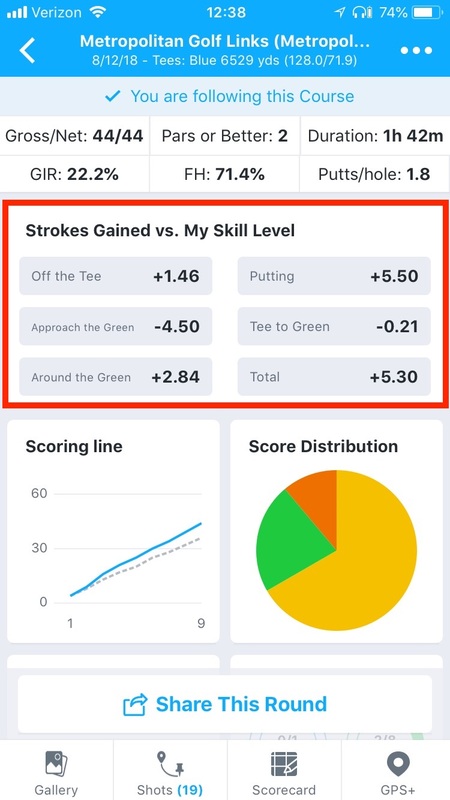 18Birdies Premium Round Summary now includes Strokes Gained data vs. your Skill Level! Tee Shots on par 3s, par 4s, and par 5s. Includes all tee shots on par 3s, 2nd shots on par 4s, as well as 2nd and 3rd shots on par 5s. Chips, Pitches, Flops, Lobs, Greenside Sand Shots, etc taking place within 30 yards of the green. The sum of strokes gained off the tee, approach the green, and around the green.